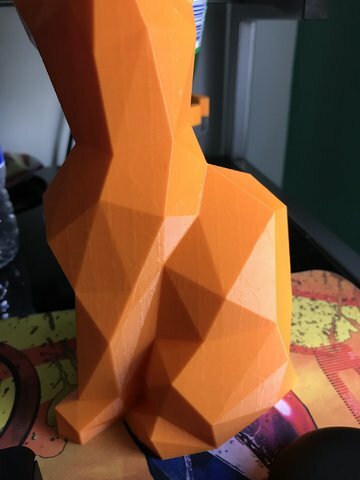 I'm having issues when I slice with Cura I'm seeing some weird ghosting/artifacting in my prints, I done a test by copying the settings as best I could over to S3D (Speed, Shells, Top and Bottom layers and etc) and got pretty much no ghosting. 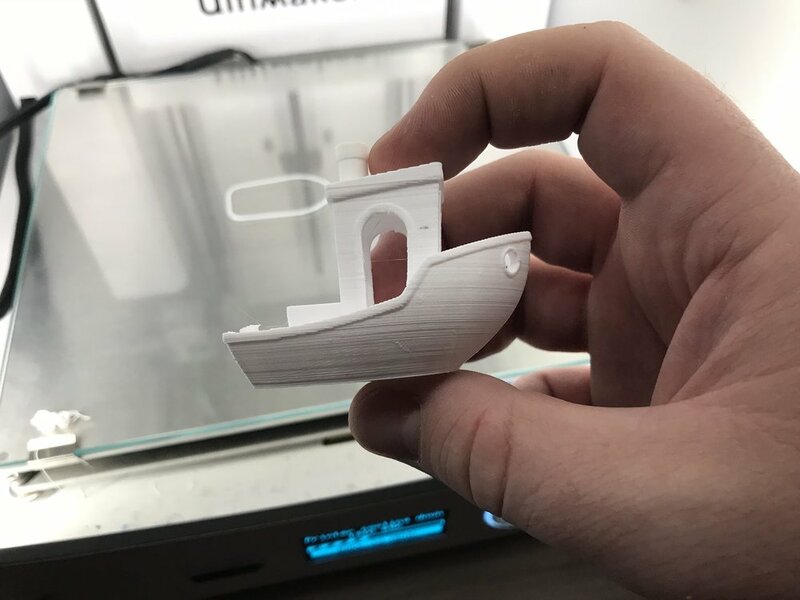 Any idea on what Cura is doing? I used the stock CPE profile for Ultimaker 2+. Photo of Cura 3 print (it's way more noticeable when it was in the printer under it's lighting. Could you please post a link to the model? Thanks. Ghosting is something I have not heard of before...please explain it to me. 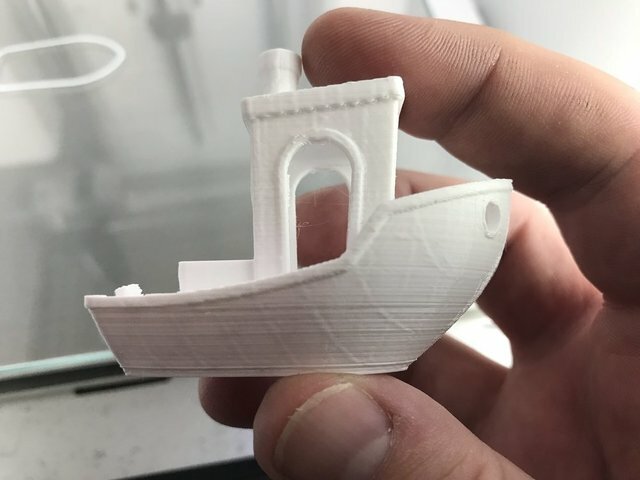 What I see in the first image looks like the infill showing through. What wall thickness are you printing with? Have you played with the "Infill Before Walls" setting? the default 2 walls, I have not played with "Infill Before Walls" yet but will give it ago. I did reprint the model with some settings changed 3 wall, less infill, different layer height etc, and got the same results, here is the project file if that's any help. Have you played with the "Infill Before Walls" setting? Just want to bring this back up with more testing Cura is doing something weird and spent a good 4 days trying to work out why with no luck, This infill showing through effects PLA, ABS and really shows up in PETG the most. Both had the setting matched as best I could. tried to match the slow down speeds for layer time as well the best I could. I don't think its just me as A friend got a UM3E and is also seeing this just getting permission to post one of his photo's here and i'll add if I can. 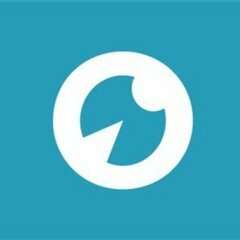 Search for a thread about "Zebra Stripes". they address this issue in that thread. 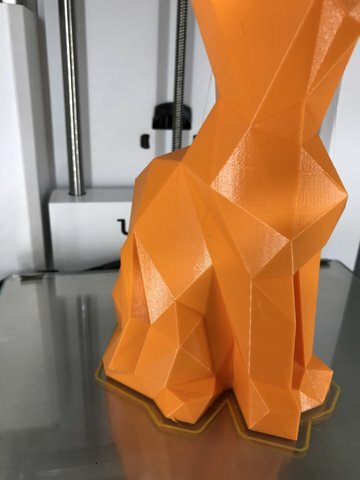 If its its to do with the stepper drivers and the TL-Smooths will fix it why would other slicers like S3D and Slic3r PE that I tried lessen the effect alot especially for PETG?